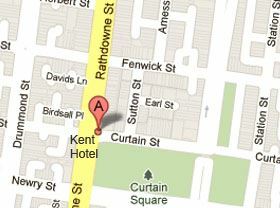 Kent Hotel, 370 Rathdowne St, Carlton North VIC 3054. Please pay no later than 5 August 2017. There will be no payments taken at the door. Thank you. Join us for the PHA (Vic) Annual Dinner and AGM! The evening includes a three-course meal at a cost of $50. Drinks will be available for purchase at bar prices. Help us celebrate another successful year and look forward to the year ahead, as PHA (Vic) continues to deliver events and programs for the benefit of members. Linda Young recently retired from Deakin University and is now liberated to pick up the strands of sundry strange and delicious research topics whose deadlines were always too soon. Linda will share the story of her life and career as a museum historian and curator, then as a teacher of heritage and museum studies.